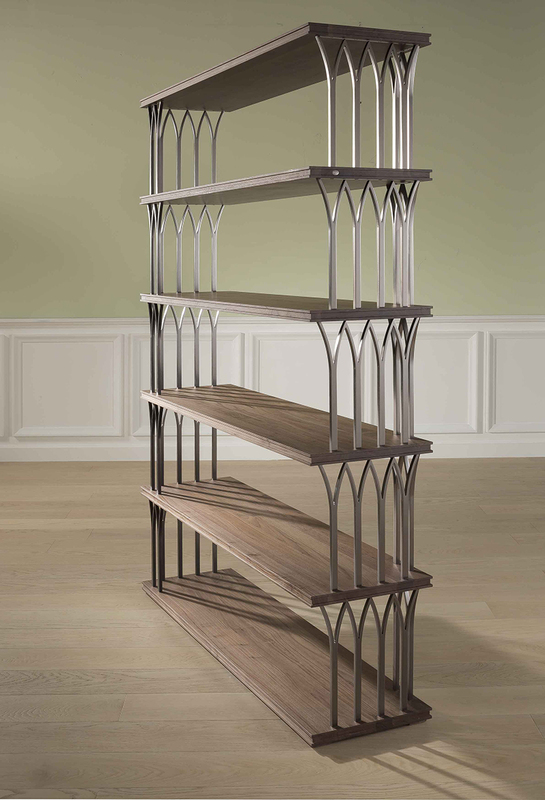 Bookshelves in metal structure with walnut shelves. Walnut wood in american walnut, moka stained and dark stained walnut. Metal in black finish.